Support Proposition HHH, a housing bond that will raise $1.2 billion over 10 years for housing for homeless residents in Los Angeles. Proposition HHH is a housing bond on the November 8th ballot for City of Los Angeles residents that will raise $1.2 billion over 10 years for permanent housing solutions. It has a broad coalition of supporters from all sectors including businesses, government, elected officials, and non profit communities. Although the bond will not completely end homelessness and solve all challenges, Prop HHH gives us, the voters, an opportunity to make a significant positive impact for thousands of people in need. Permanent supportive housing funded by the bond, already successful in LA and other cities across the country, is proven as one of the most effective ways to reduce homelessness and save public money. Los Angeles City currently has over 28,000 people living without housing. Presently, an additional 10,000 units of Permanent Supportive Housing are needed in order to house all of the City’s chronically homeless residents, including men, women, children, families, people with disabilities, and more. The bond would ensure the production of the 10,000 units needed; without the bond, the City would only be able to finance up to 3,000 units over the next 10 years. 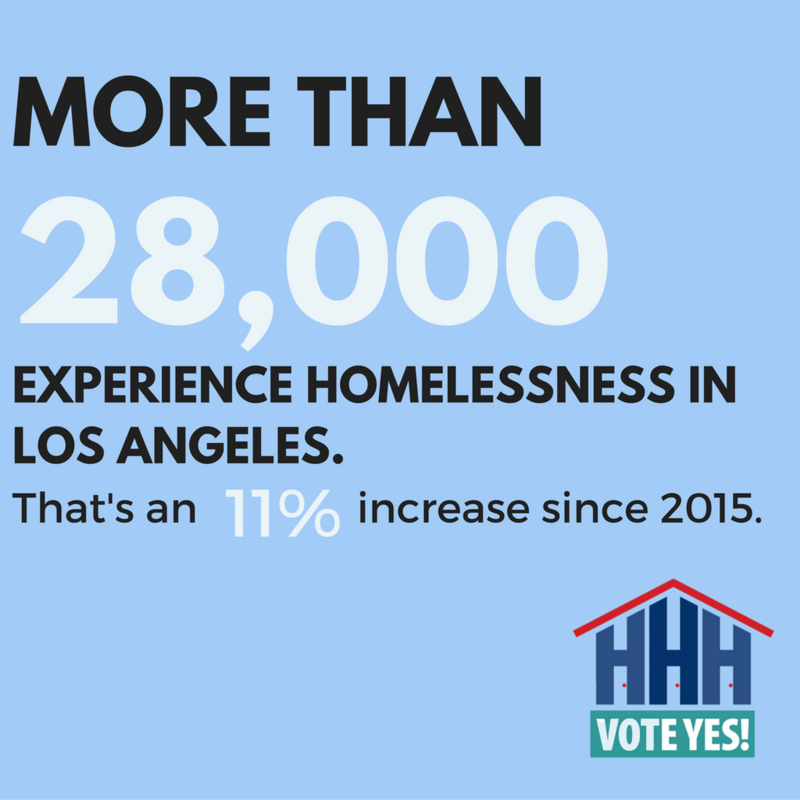 YES on Prop HHH means saying YES to housing solutions to address LA’s growing homeless crisis! The webinar will be held on Wednesday, Oct 12, 2016 from 10am-11am PDT.